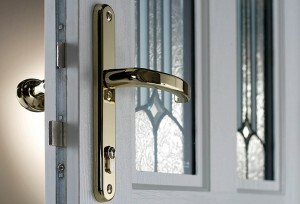 ” Modern Upvc Doors & Composite Doors are long lasting, low maintenance, very secure & energy efficient. Find some of the UK’s best prices for your front doors from our nationwide network of trusted installers. Modern front doors have benefited greatly from technology. Many are now a composite of different materials giving an unbeatable combination of excellent weather proofing, sound reduction and draught elimination. Installing energy-efficient composite doors will also reduce your energy bills, keeping your home warmer and quieter – the UK energy savings trust say savings from reduced heat loss just from the improvement in draught proofing can be £100’s over the lifetime of the door. Typically, a composite external door would be made of a hardwood sub-frame that contains the composite material, such as polyurethane and fitted around with a steel reinforced UPVC frame. Recent surveys suggest that an overwhelming majority of residential break-ins and even “home invasions” are as a result of the perpetrators entering through a door, so making sure your doors are strong & secure should be high on the list of your priorities. 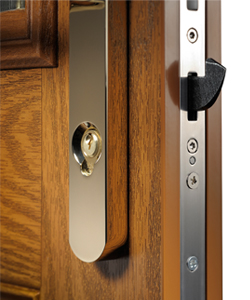 Composite Doors benefit from multi-point locking devices with anti-tamper locks, dead bolts, dog bolts, and steel drill plates – even the police have had trouble trying to enter properties with this level of protection. The surfaces of the doors are impact resistant; the frames are steel reinforced and prevent warping, cracking & fading. 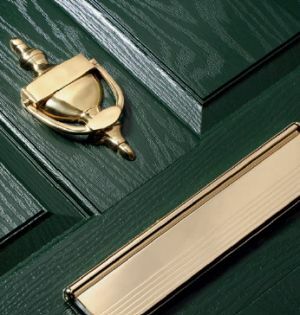 Choose from either a smooth or textured “wood grain” surface finish, and further personalise your door by selecting from an extended range of colours (inside or out). Door furniture, such as letter boxes, locks & handles come in brass, aluminium, chrome, steel and more. Fully Fitted Front Doors Prices.